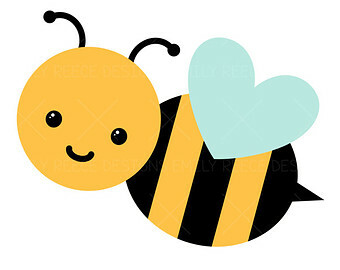 Because 'buzz' is usually associated with bees, people always believe I have some sort of special admiration for bees. In this case, that theory is a total misconception. I, in fact, don't like bees at all. I don't like them. I don't hate them because I am aware of how vital they are to this planet and just vegetation in general. Have you ever watched the Bee Movie? That movie is an exact representation of what the world would look like without bees. I get so annoyed when bees are buzzing in my ear. I think it's the most irritating sound out of all the most irritating sounds in the world. I'm the kind of person that swats at the bee until it goes away or move to a different spot. In the summer, I wear bright sundresses, floral print tops, and vividly patterned skirts. Let's just say, I attract the bees! 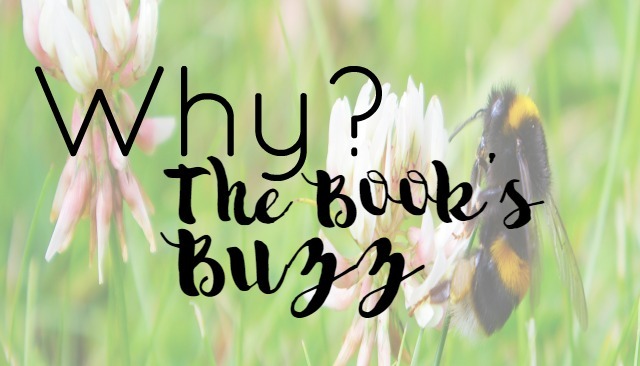 So no, I don't have some crazy obsession with bees that inspired the name for my blog. The story behind my name is inspired by the act of fangirling and how we, as booklovers, love to share what we read with the world. I compared it to the buzzing of bees. It sort of took me a while to fall in love with the name, but I did in the end. Choosing a name is perhaps the hardest aspect of creating a website/blog. You don't want to be a flake, as I call it. A flake is someone who jumps from one name to another in only a matter of months after coming up with their first one. It's annoying to your viewers and especially to yourself. Imagine changing your Bloglovin, Goodreads, Facebook, Instagram, and Twitter bios just because you can't come up with a damn name! Everything is interconnected and if you decided to change one thing, it has to be changed on every other platform it's been registered on. It's insanity! Don't go blog hopping. Blog hopping exposes you to the names of other blogs. This is not a good thing. Don't act like you're just gathering inspiration for your name. Trust me, you'll be tempted to steal names or do something similar (that it's going to be obvious). Puns are always welcome. Using puns in a name brings a smile to people's faces. Make it an easy pun to recognize though. You don't want your viewers to be staring at your name forever and wondering what in the hell it means. Make it related to what you plan on discussing. If you want to blog about books don't name your blog 'The Empty Bathtub'. That's just going to confuse people when they refer to you because they're not going to know what you're talking about -- bathrooms or books? (especially if bathtub is in there lol). Be creative. Name-choosing is in the eye of the beholder and it should reflect some part of you. Get advice. Make a list of names for your friends and family to read. Let them vote on what they like best. This is a good post. I didn’t put much thought into my blog’s name. It was kind of an in-the-moment decision. That’s not a great way to name a blog. But I still love your name <3 It really doesn't seem like a name you'd think of atm but when someone asks about why you choose it, you don't have an explanation lmfao! I was kind of a flake before I landed on this blog name, but I really didn't advertise it until I was sure I found something I would stick with! This is all very good advise, though. And you're right, I totally thought you loved bees hahah. That's totally fine! I just meant that if ya start branding with your blog name, you want to make sure that it's something you're going to stick with. Haha OMG for reals? A lot of people always ask me teehee. Really? I actually did not know that but I agree that it's so easy to say and so much shorter. It's also quite cute and I thought it was just a combination of bibliophile and eater. Okay I absolutely love your name. I don't know if you've realized this but there are actually two ways to interpret your blog name. You could either think of it as Enchanted by YA (the book genre Young Adults) or Enchanted by Ya (slang for you). OMG Isn't that so adorable? I love it so much! I wish I could have asked people for help with my name. At the time I made my blog I was actually an introvert and I didn't tell anyone I was making it. I was scared my parents were going to stop me and my friends we going to make fun of me because as they said 'no one reads blogs'. I'm glad I have the support of my fellow blogger friends!